If you’re looking to improve your landscape irrigation system, drip irrigation is the best option. The system of drip irrigation is becoming more and more popular worldwide because of its various advantages. The biggest advantage of installing drip irrigation systems is its ability to efficiently deliver the exact amount of water required by your plants. Thus, it ensures water conservation and results in reduced water bills. The drip irrigation system distributes water slowly and at a regular interval which helps in increasing the crop production, in addition to saving more water as compared to a sprinkler. A drip irrigation system when installed in conjunction with a water timer, automatically feeds your plants daily. Planning and installing drip irrigation systems requires some knowledge in this field. If you’re planning to install a drip irrigation system of your own, you need to determine the rate of flow of your drip emitters, the types of plants you are watering and the condition of the soil. You will need to do some homework to successfully implement drip irrigation systems that use water responsibly while allowing landscapes to flourish. You need to follow the step by step process to create an efficient low-volume irrigation system. Here we have listed five considerations for planning a drip irrigation system. Consider the topography, size of the area, and the water flow rate to determine the size of the pipes required. If the area is non-grassy, densely planted with homogeneous plants, it is best to provide it uniform and consistent root watering. Moreover, to find out the right size of the system and water flow, you will need to figure out the elevation of the area you’re going to irrigate. This is because any change in elevation results in a change in the pressure and you may need pressure compensation within the system on steep slopes. 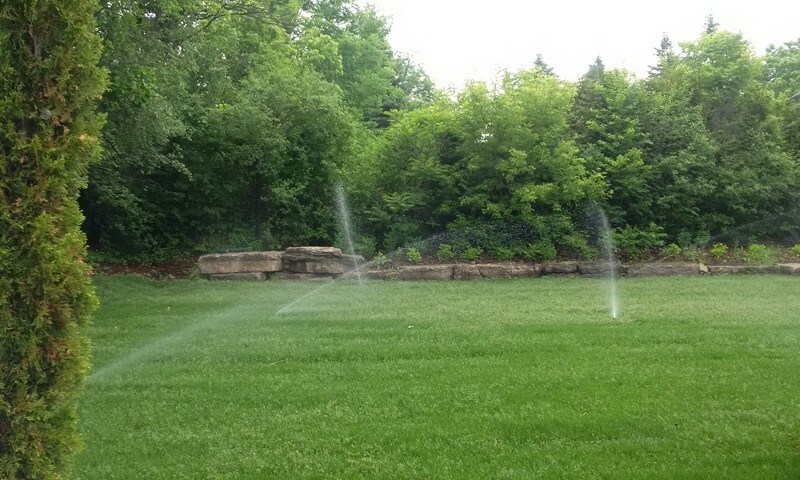 The water source for your irrigation is one of the important considerations. Before installing your drip irrigation system think about the quality of your water source because you might need to adjust the water pH level, depending on your crops. For instance, if you’re going to use pond water source, it will require the installation of a filtering system. Watering needs of plants depend on several factors, such as species, climate and planting density. Also, plants have different watering needs than grass, so your irrigation system should allow different settings for drip and sprinkler points. Find out the amount of water needed by each type of plant within the irrigation site to determine the most effective irrigation methods. This will also help you in deciding the types of emitters required for different groups of plantings. You will need to calculate system runtime which is dictated by the irrigation needs of the base plant. Base plants require the least water and irrigating this plant determines how long it takes to provide adequate hydration. So, the flow rates to other plants must be adjusted for adequate hydration during that same amount of time. This will help in determining the irrigation interval that how often you’ll run your system. Above all, make sure when planning a drip irrigation system to draw a sketch of your project area by locating your water source and other important points. This basic sketch will help you better visualize your project and in avoiding mistakes. Thus, the landscape and drip irrigation designers consider various factors, that is, size of a planted area, plant’s root depth, soil type, water requirement and density of planting for designing an efficient drip irrigation system. The process of designing may seem complicated but the outcome surpasses all the efforts.